Erin was pregnant with her first baby, a little DIVA!, so we decided to throw her a surprise baby shower. Lauren created several baby themed beverages for the event. Don’t worry – the future Mama stayed away from the concoctions! Place the raspberries in a champagne flute. 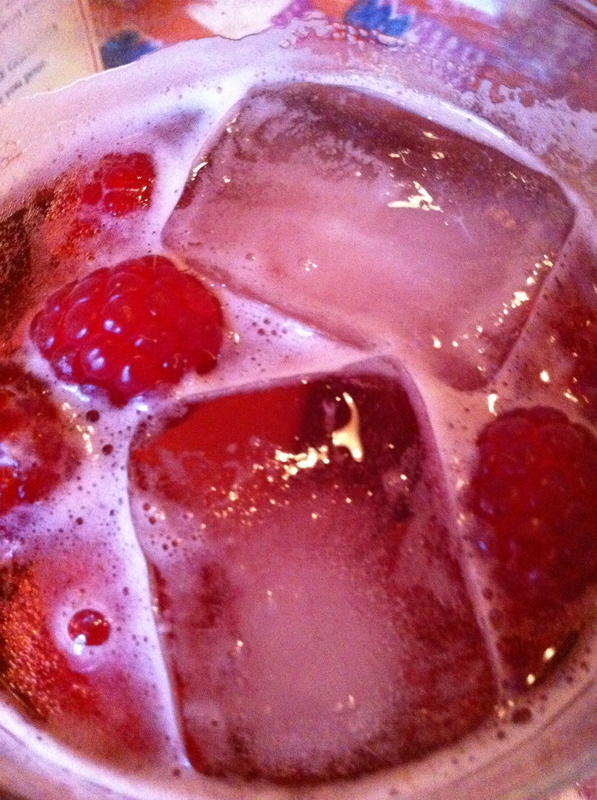 Pour in the raspberry liquor, the champagne, and a splash of soda water. Optional to add ice. Cheers!